Engineers at BP are racing against time to build a funnel to help contain the oil leak into the Gulf of Mexico. The funnel is a 98-tonne, 40-foot iron box that resembles a primitive space rocket. 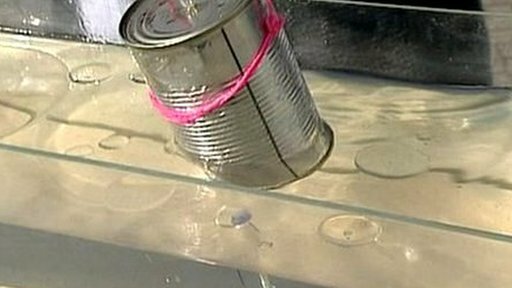 With the help of a tin can, a fish tank, and Dr Simon Boxall from the University of Southampton, the BBC's Richard Westcott has been finding out.